Just a brief reminder that the Mondrian/Nicholson: In Parallel exhibition at the Courtauld closes on 20 May. This is a small exhibition but one that is well worth seeing if you can get to it this weekend. 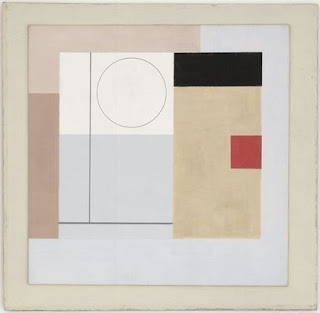 To quote the Courtauld: "This exhibition explores the largely untold relationship between Piet Mondrian and Ben Nicholson during the 1930s. At this time the two artists were leading forces of abstract art in Europe ... This is a unique opportunity to experience some of the greatest works ever produced by these two exceptional artists." The Courtauld is a great little gallery - far more intimate and manageable than the Tates or the National etc. 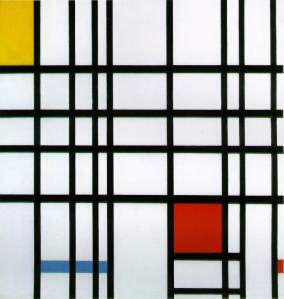 When you have done Nicholson/ Mondrian you can explore the main collection that the gallery houses. A highlight for me is the collection of paintings by the Fauves (including key works by Matisse, Derain and Dufy), the German Expressionist paintings, and the works by Kandinsky. You can take a virtual tour of most of the gallery here.